← This Year, We Are Thankful For YOU! 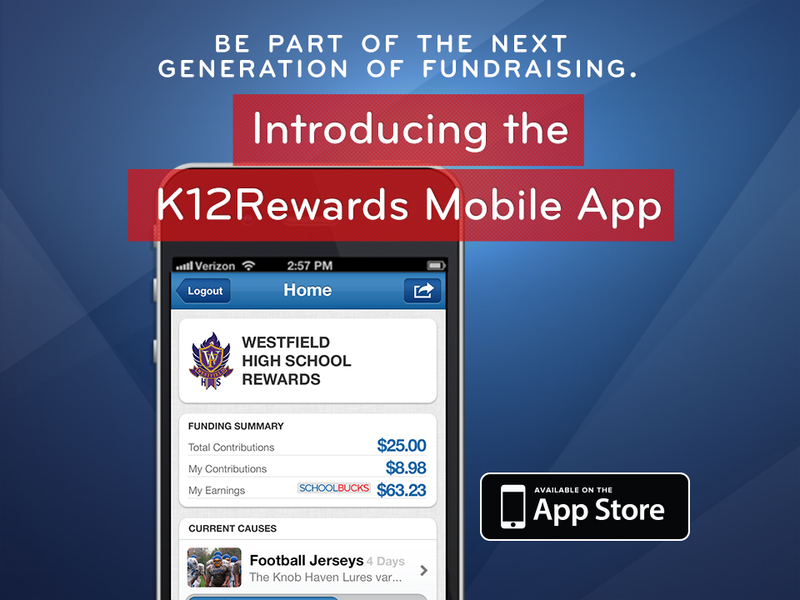 Get ready for the next generation of fundraising with the K12Rewards mobile app, now available at the iTunes store here! With our mobile app, you’ll have all the fundraising tools your school needs at your fingertips at all times. Earn money for your school by online shopping on the go! Make a direct donation to your school or to a specific school program anytime, from anywhere. Watch, film, and upload videos to your school’s High School Video Network, all from your phone, so you can always stay connected to the biggest events in your high school. With our app’s sleek, simple design, fundraising has never been easier! Be sure to spread the word about our exciting new app on Facebook and Twitter!